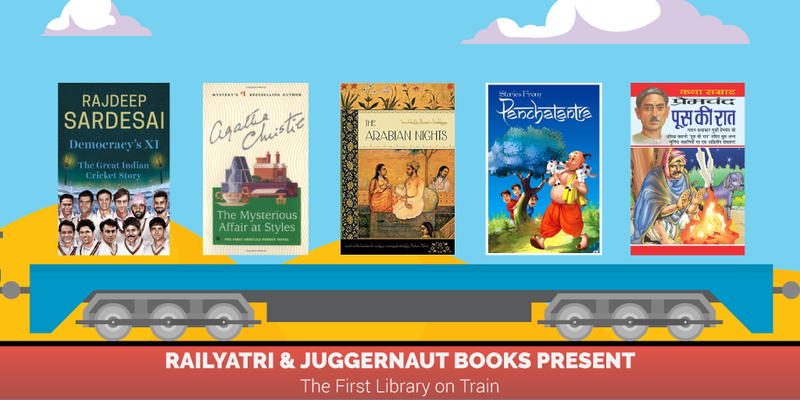 RailYatri has partnered with Juggernaut Books to bring great reading experience to millions of long distance travellers. Our travel marketplace which has a strong user base across the country, will now have over 200 books in English and Hindi which the users can read anytime, anywhere. “Reading has always been an integral part of travelling and for many regular travellers buying books and magazine before boarding a train or bus is a mandatory ritual. What we have done is design a ‘Library on Cloud’ for users, wherein they can read as many books as possible from anywhere, anytime. We are happy to collaborate with Juggernaut Books which has a wide repertoire of books across different genre,” says Mr Kapil Raizada, Co-founder RailYatri. RailYatri uses deep-data analysis to solve the pain points of travellers and make journeys hassle-free. And with this mindset, RailYatri now brings a wide choice of books to its users – in the convenience of their mobile phones. With 40 Million people travelling long distance everyday, there are many who would like to use their journey time in catching up on their reading. And what could be better than getting to read your favourite title on your phone, without having to go to the book shop or carrying a hard copy along. RailYatri offers books in both English and Hindi which can be read by paying a nominal subscription fee. There is also a long list of books which are available free of cost. Travellers can now look forward to reading evergreen classics, current best sellers and editor recommendations such as Twinkle Khanna’s Legend of Lakshmi Prasad, Rajdeep Sardesai’s Democracy’s XI and others.